This essay explores the themes of United Nations (UN) peacekeeping offensive operations and Unexploded Ordinance (UXOs), Explosive Remnants of War (ERW) and Improvised Explosive Devices (IEDs). As the character of conflict changes, there is an increased international focus on IEDs. The traditional threat of ERW has been further complicated by the preponderance of IEDs in war-affected countries. After a marathon negotiation session, the Open Working Group (OWG) on the Sustainable Development Goals finalized its outcome document. Member states are increasingly looking to 2015 as a milestone for progress on United Nations Security Council reform. 2015 marks the seventieth anniversary of the UN, fifty years since the implementation of the last (and only) Council enlargement, and ten years since the 2005 World Summit. This paper provides an overview of the current context, an explanation of global perspectives on UNSC reform, and analysis of discussions on UNSC reform in and around the African Union. 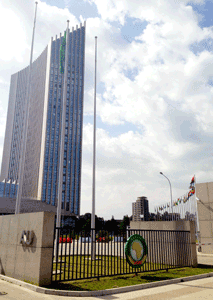 Will Africa Be the Key to United Nations Security Council Reform? After nearly a decade Africa has decided to revisit its common position on United Nations Security Council (UNSC) reform at a summit in Brazzaville, Congo this week. In 2005, Africa established a united position on UN reform in the Ezulwini Consensus.